How to Choose Colors for Your Facility. 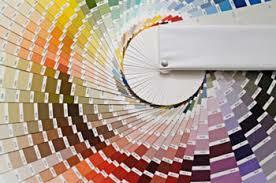 Most people spend a good deal of time agonizing over the right interior colors for their homes. There is no doubt that people are naturally drawn to certain colors and color families. Varying hues within a color give us the tools to create endless options for decorating, product packaging, advertising, graphic design, etc. At some point, you may be asked to make a color decision for your facility - perhaps for carpet or upholstery. The task may lead you to have to channel your inner designer, an intimidating prospect to many. Reds are known to stimulate adrenalin and cause feelings of excitement. Blues and Greens tend to create a calming effect. Studies have shown that blue can actually have the effect of lowering heart rate and blood pressure. Similar to blue, Purple is known as a calming color that can also stimulate creativity. Yellow is mentally stimulating, activates memory, and encourages communication. Brown can evoke feelings of stability – a connection to the Earth. -Whatever your task, remember to consider the effect of lighting on your color choice. Bright, fluorescent lights can substantially wash out color so if your facility is under the glow of fluorescents, consider a deeper hue. -Want to see how the fabric will look on a piece? Try a 3D visualizer and take the guess work out of choosing the color of the fabric. -When needing to choose coordinating colors for multiple pieces, you may want to grab color wheel and look for color opposites to create a complimentary scheme or work with an experienced contract furniture company.